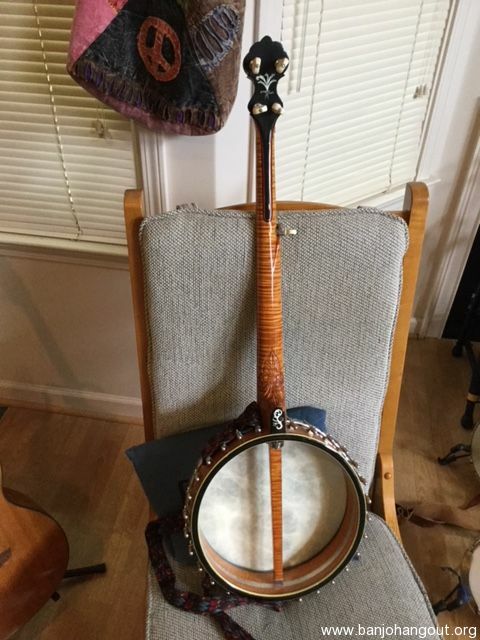 Flesher Grand Promenade: This beautiful open-back banjo, which is about ten years old, is a collector’s edition model with all the bells and whistles. 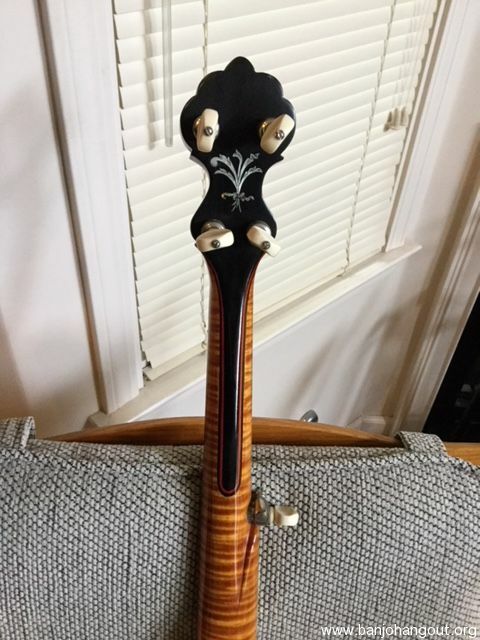 It has a tigertail maple neck and backstrap of black/red/black lamination, carved heel, and floral-inlayed and engraved neck, peghead, and heelcap. 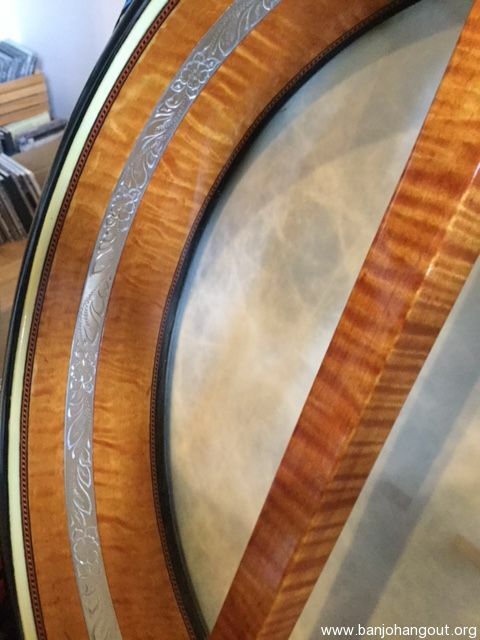 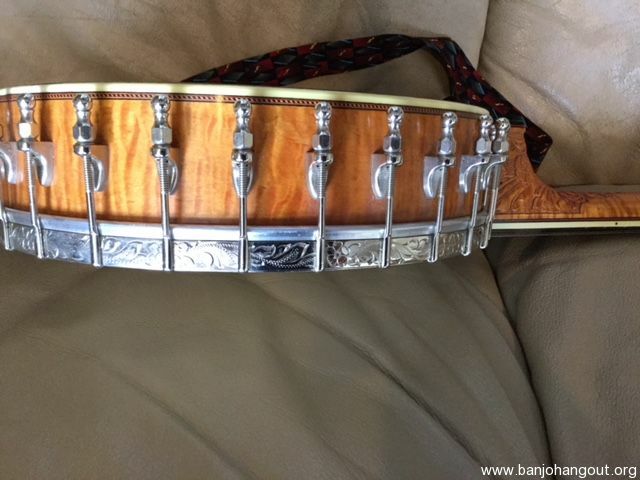 The Kershner tailpiece, tension hoop, and the inside shoe bolt cover band are profusely engraved and nickel plated. 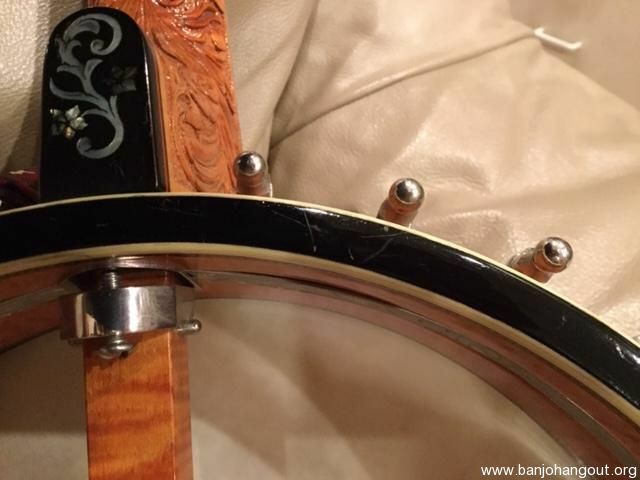 The banjo has a 12” head and the Flesher ebony tone ring for a crisp, powerful sound. 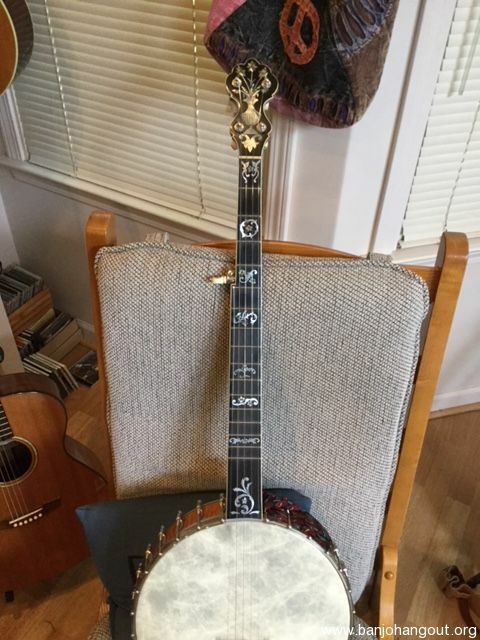 This is a great banjo, I love playing it, and I’m not giving it away, though the price is several hundred dollars less than a new one and you can get it in a few days. 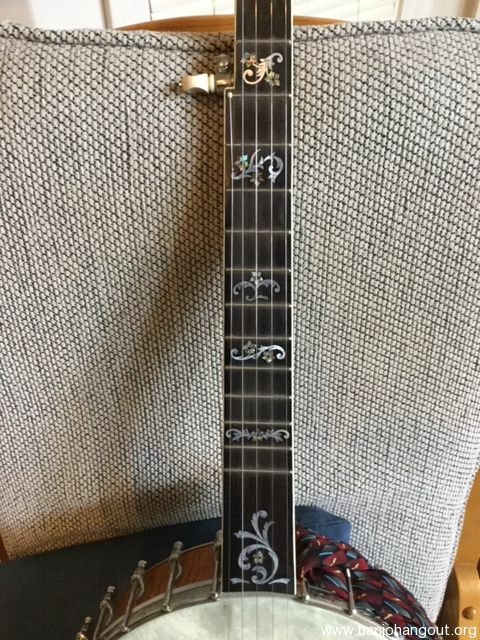 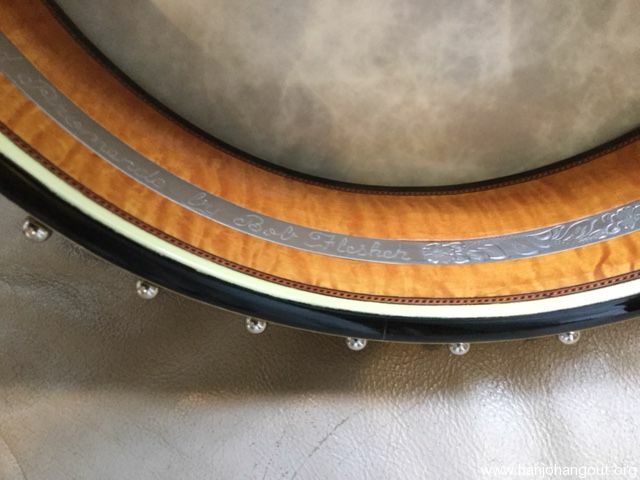 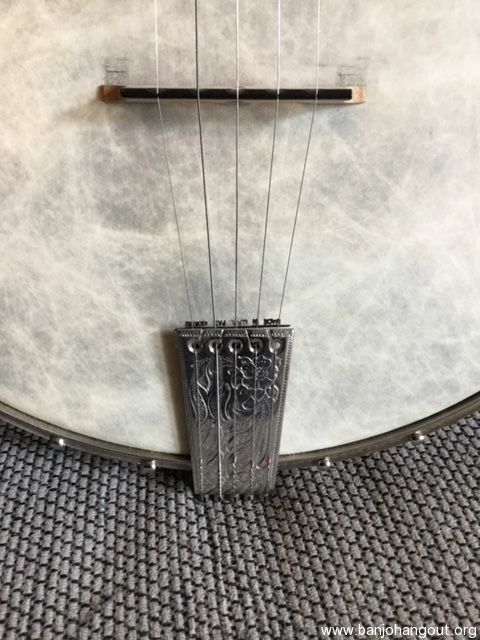 There are a few scratches on the underside of the rim which can be seen in a photo; otherwise, the banjo is in excellent condition with all original parts other than the bridge. 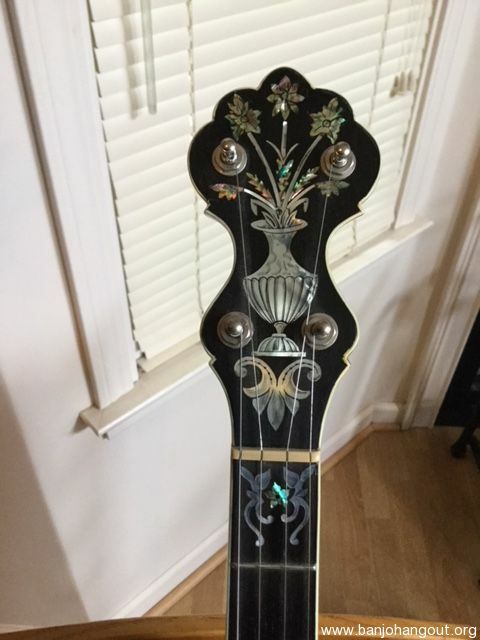 Shipping: Seller pays shipping. 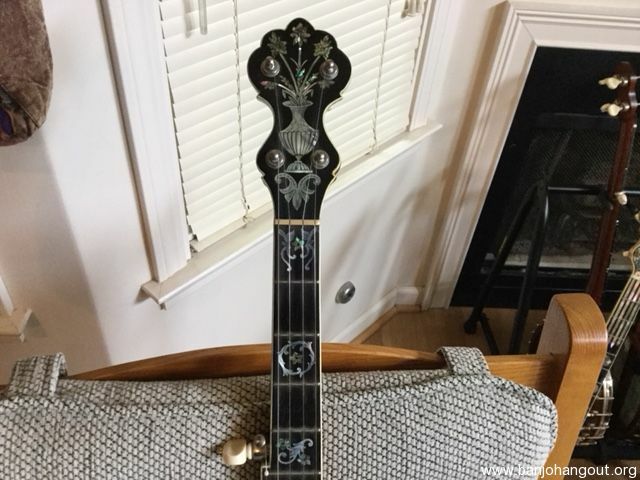 Original hard shell case included.